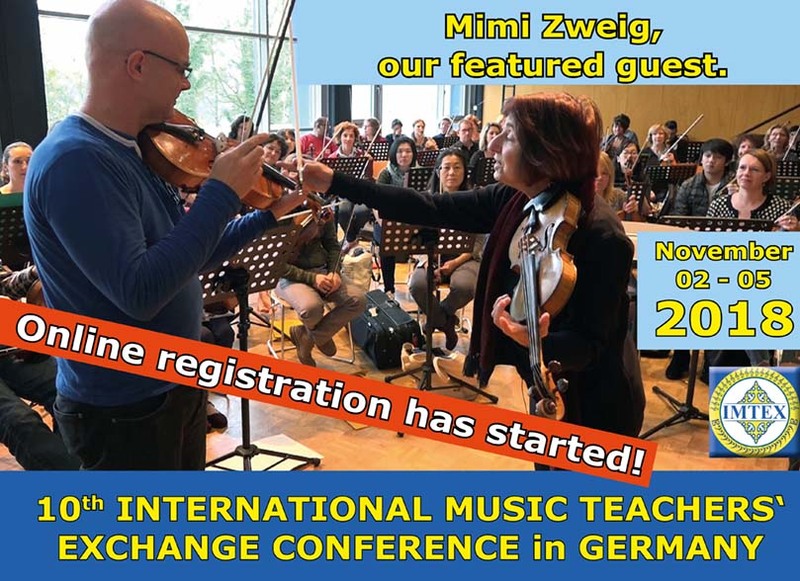 Mimi Zweig, the world-renowned American violinist and pedagogue, has agreed to return to Germany next fall for the 10th International Music Teachers EXchange Conference and will be giving an intensive course for violin and viola teachers. 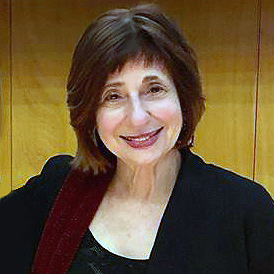 Mimi Zweig’s approach to violin performance engages the physical, the psychological, and the musical abilities of her students. Her fundamental principles of violin teaching incorporates the philosophies and teaching ideas of Shinichi Suzuki and Paul Rolland. Start: Friday, 02 November 2018, 2:00 p.m.
End: Monday, 05 November 2018, 1:00 p.m.
Start: Friday, 02 November 2018, 2:30 p.m.
End: Saturday, 03 November 2018, 12:00 p.m.
Start: Saturday, 03 November 2018, 2:30 p.m.
End: Sunday, 04 November 2018, 3:00 p.m.
During Course A and Course B Mimi Zweig will present lectures and workshops for teachers. Participants will also have the opportunity to ask questions and engage in pedagogical discussions with our featured guest. Detailed information will follow soon. Start: Sunday, 04 November 2018, 4:00 p.m.
End: Monday, 05 November 2018, 1:30 p.m.
depends greatly upon the teacher’s ability to effectively teach the fundamental principles of violin technique in the early stages. Kerstin Wartberg, Charles Krigbaum and several other experienced Suzuki teachers from various European countries and the USA will share details about their strategies for establishing an excellent foundation for beginning students. Teachers from different parts of the world will present and share their personal approaches to these basic skills. It is not difficult to reach Remscheid. We shall send you a description how to find your way by car, train or plane. There are three airports near Remscheid (at a distance of 40-60 kilometers). Many low-cost airlines fly to Düsseldorf, Cologne/Bonn and Dortmund. We hope to see you at the Teachers‘ Convention! The video is based on excerpts of the Teach Suzuki podcast by Paula E. Bird, Texas State University. Paula Bird speaks about her experiences at the 8th annual conference of the International Suzuki Teachers Exchange in Remscheid, Germany at the end of October 2016 and relates details of the events that she attended and the people that she met and learned from. She offers a suggestion about why attending such an important conference is valuable for Suzuki teachers and invites teachers already now to the next conference.